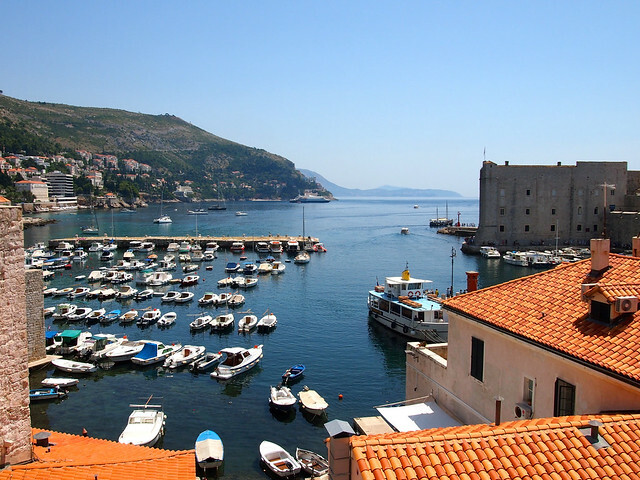 When I first discovered that my Busabout trip would only be briefly passing through the Croatian city of Dubrovnik, I was a bit bummed. We would only have about 4 hours to explore this “Pearl of the Adriatic,” and it didn't seem like enough. But then I realized a couple of things: first, that Dubrovnik in the summer is incredibly hot, expensive, and teeming with tourists, and perhaps I didn't WANT to spend a lot of time there. Secondly, that 4 hours was plenty of time to do the only thing I really wanted to do in the city: walk its famous walls. 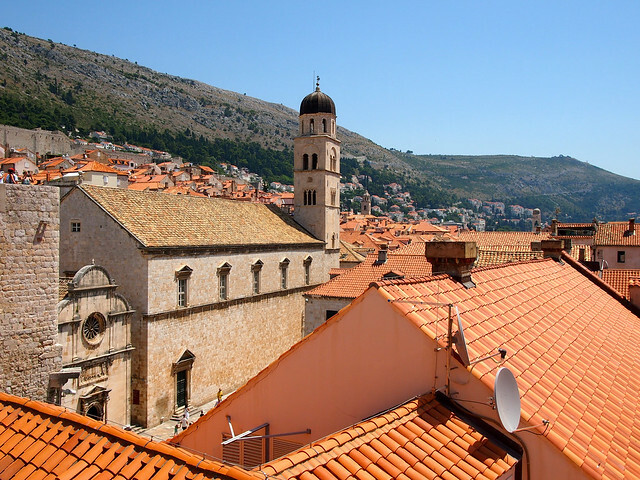 Whenever I think of Dubrovnik, I think of the thick stone walls the encircle the city's Old Town — walls that went centuries without being breached by a hostile army; walls that helped Dubrovnik earn a UNESCO World Heritage Site designation in 1979. Walking atop these walls was the only thing on my agenda. 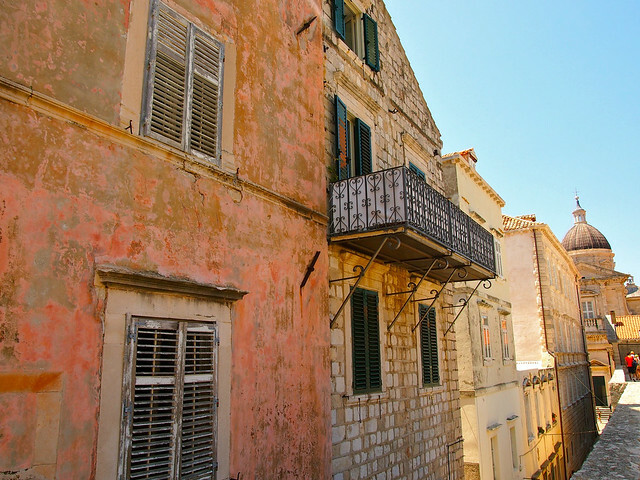 When we arrived in Dubrovnik in the early afternoon (at the hottest time of day, of course), I made a beeline for the walls. I convinced one other person to join me in the midday sun, and off we went, up, up, up to the top of the walls. 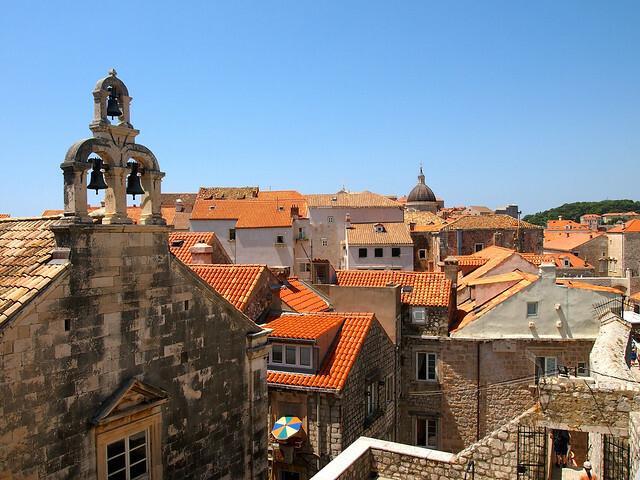 I visited Dubrovnik before “Game of Thrones” mania took over the city (Dubrovnik stood in for King's Landing in several seasons of GOT), and entrance to the Walls back then was 70 Kuna. Today, it'll cost you 150 Kuna for the privilege of walking the Walls (roughly $24 USD). Perhaps because it was so warm, the walls weren't actually as crowded as I'd feared, and the clear skies meant that it was perfect photo-taking weather. We began our adventure at a far corner of the walls, meaning we had to walk through Dubrovnik's Old Town first. Its beautiful, detailed Old Town. Then it was time to climb up to the walls — about 80 feet up. 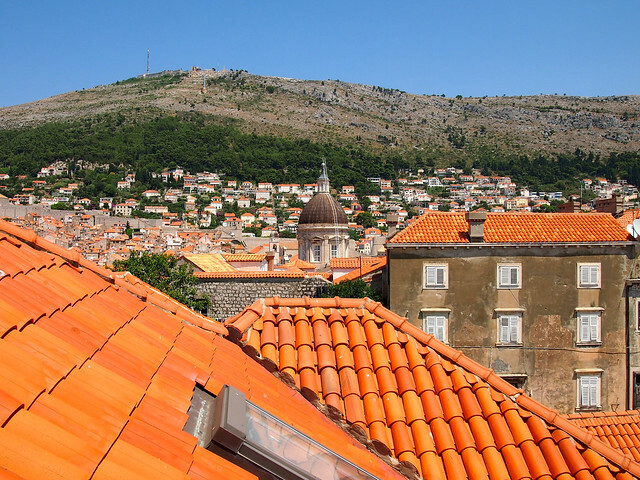 From atop the walls, you get an amazing view out over the Old Town, including those iconic orange roofs that the city is so well-known for. While Dubrovnik went centuries without a war breaching its thick walls, the city was severely bombed during the Balkan Wars in the 1990s. Today, though, you would never know it — except by looking at the city's rooftops. Bright orange roof tiles indicate roofs that were restored after the bombings. You also get an amazing view out over the impossibly blue Adriatic. 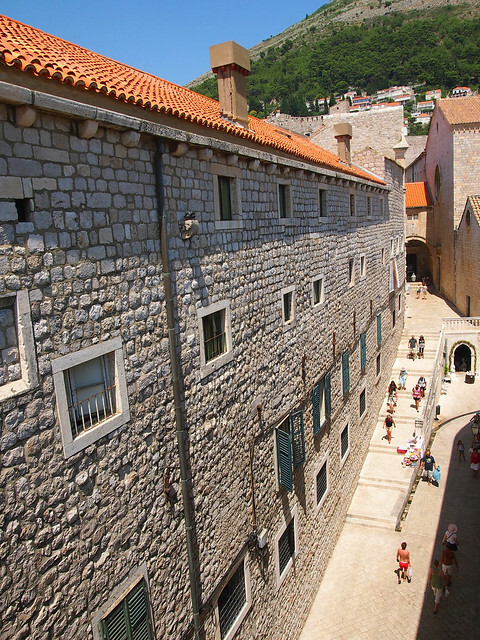 The walls allow you a bird's-eye view down into the canyon-like streets of Dubrovnik. 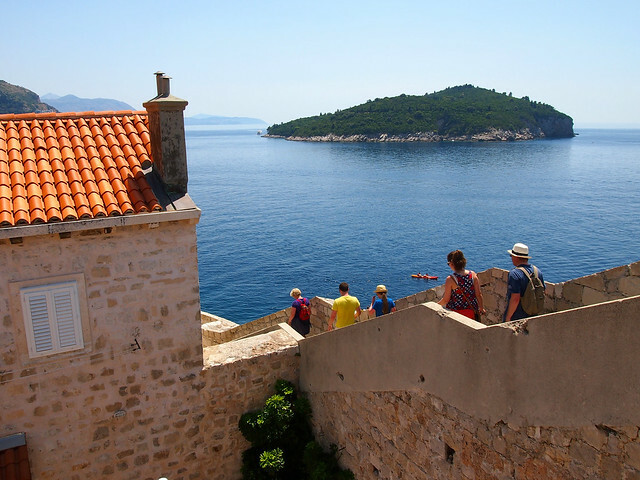 From the walls, you can also look down on Dubrovnik's colorful harbor. You get to see the old, right alongside the new — all of it blending perfectly. In the end, 4 hours was the perfect amount of time to spend in Dubrovnik on a hot summer day — walking the walls can take up to 2 hours (especially if you stop for as many photos as I did), and then you can spend the rest of the time wandering around in the Old Town, possibly in search of ice cream. 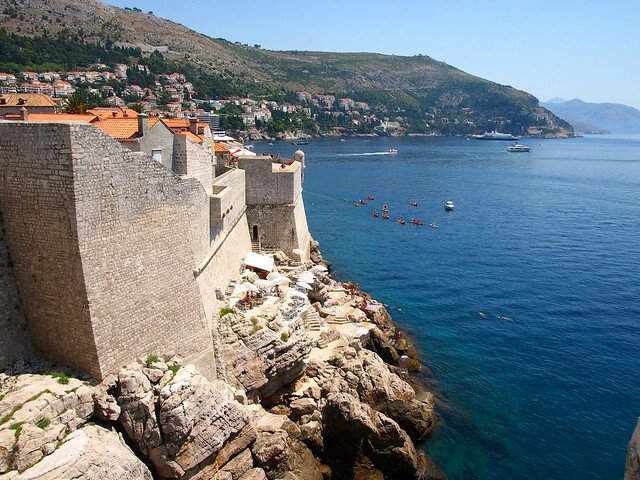 No matter how much time you have to spend here, though, walking the Walls of Dubrovnik MUST be on your list! 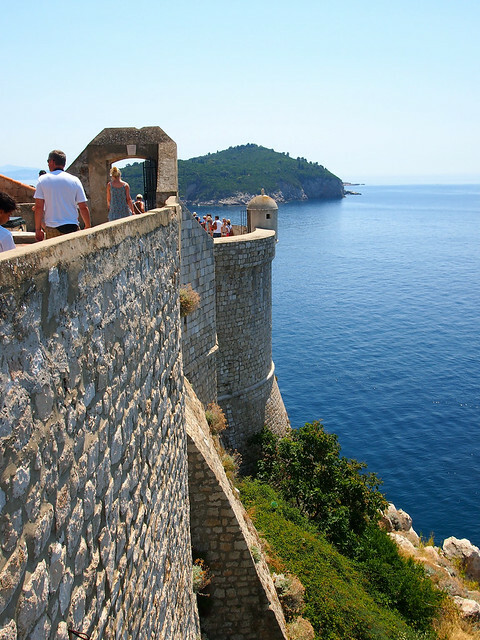 Which view would you most like to see from Dubrovnik's walls? 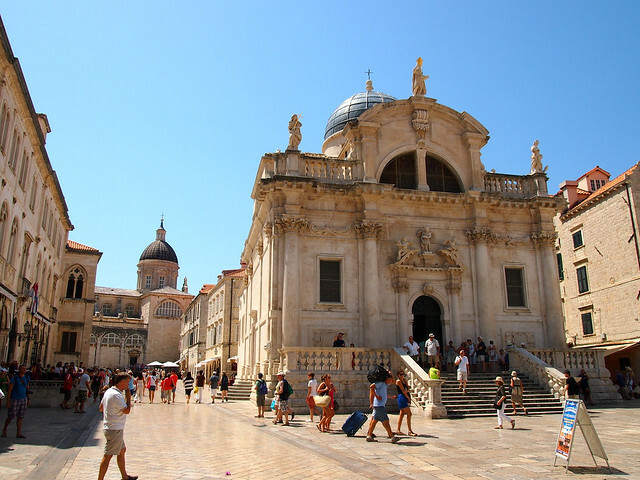 *Note: I visited Dubrovnik as part of a discounted 9-day Classic Balkan Trek tour with Busabout. All opinions, however, are my own. 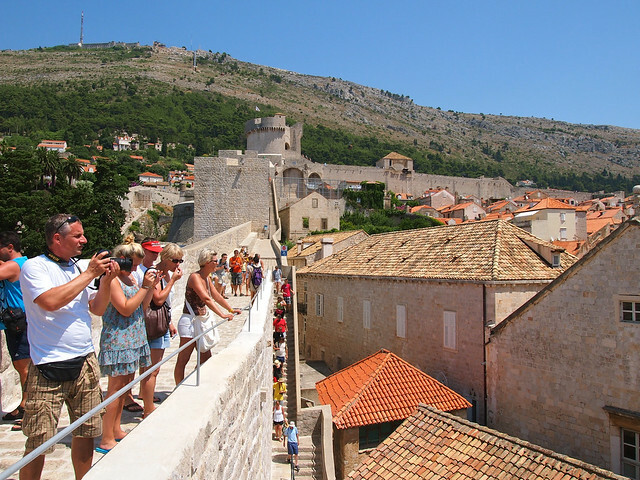 It’s a few years ago now but I thoroughly enjoyed my walk around the walls of Dubrovnik. It wasn’t so crowded than as tourists were still returning to the city. In my mind it is the best way to see the city. Great photographs. It is definitely the best way to see the city! I wouldn’t recommend any other way. I loved doing it but it was hot as hell when I went. Good thing our guide told me how many steps were involved AFTER rather than BEFORE! Lovely pics, Amanda. Haha, yeah there definitely are a lot of steps! But they are totally worth it in my opinion. It was super heated when I did the walk but there was a small cafe halfway round. Not sure though whether it is still there. It was a real life saver as I had not taken enough water with me. Beautiful photos Amanda! Even though it was hot it still looks like you had a good time. 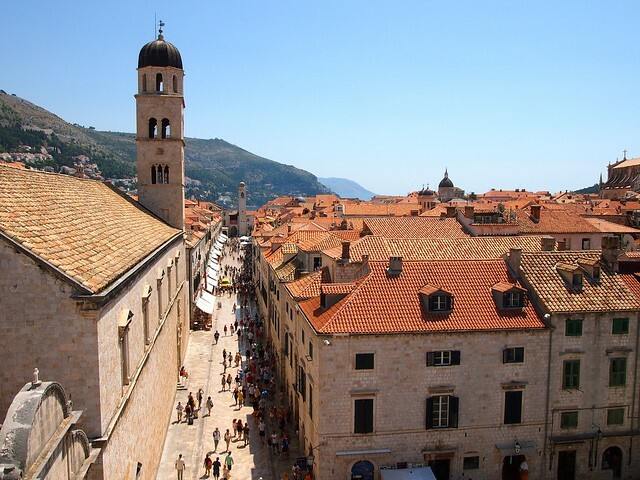 I spent a week in Dubrovnik a few years ago and loved it! Thanks, Sarah! I definitely did have a good time, despite the heat! It was such a beautiful city that I think I would have enjoyed it no matter what the temperature! Wow, Amanda! Good for you for surviving the heat – well worth the effort for those pics. They’re gorgeous! Thanks, Holly! And actually, Athens a few days before this was WAY more miserable! I’ve heard the heat on the walls is deadly – looks completely worth it though! It’s certainly not what I’d call pleasant in July, but it was absolutely worth it in my opinion! Beautiful photos! 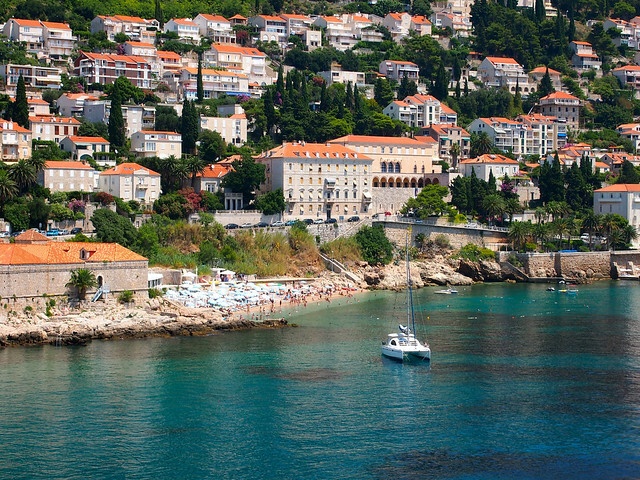 Croatia is becoming quite the hot spot for travelers these days. And for good reason! It’s a seriously beautiful country. Beautiful! 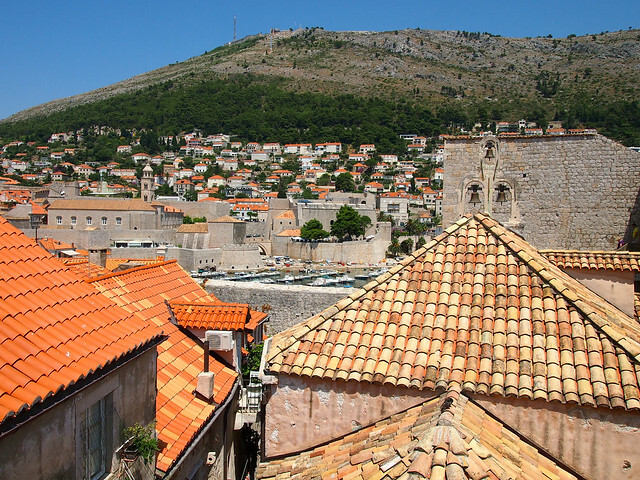 I’d love to visit Dubrovnik, but it sounds like it would be better at a different time of year. I was just there at the end of September and the weather was glorious! Shorts weather but not melt your face off hot. Still nice enough to go swimming as well. Good to know, Melissa! It sounds like September would be the ideal time to visit. Yes, I wouldn’t necessarily recommend mid-July… lol. That’s part of the reason I mostly skipped through Croatia this summer. I want to travel around the country, but the height of the summer season isn’t the time to do it! Such a beautiful city!I really like this mediterranean atmosphere, I’ve never been there, but I’ve been several times in Pula which is also a beautiful croatian city with a great history. Ah yes, I’ve heard good things about Pula! In fact, I’ve heard good things about most parts of Croatia. I definitely need to go back and see more of it! 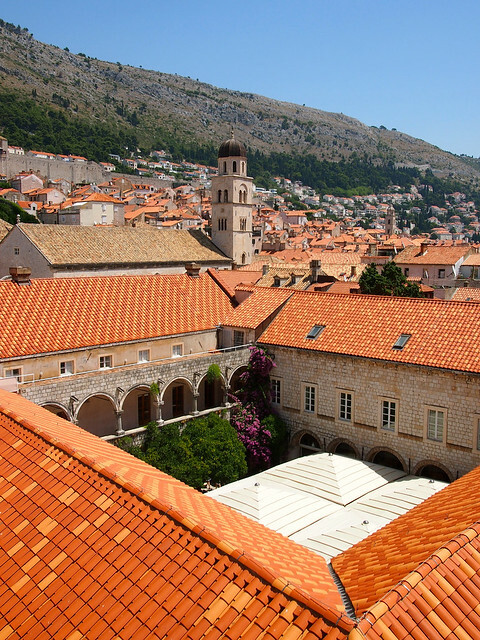 And, if you ever get the chance to check out Dubrovnik, do it! It’s an extremely beautiful city! I hope you get the chance to visit someday! They got a good job on those roofs. All views are gorgeous! I don’t think there’s a bad view in this city! Thanks, Cam! And yes, it was a great afternoon for photos… though insanely hot! Amazing pictures! 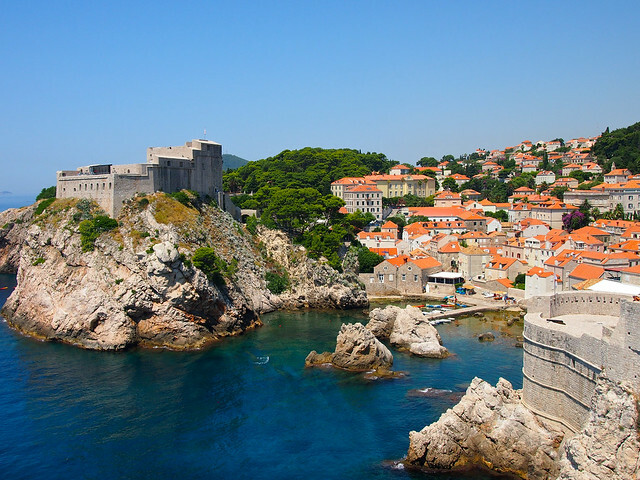 I’m so going to Dubrovnik next time I visit Croatia! Thanks! It’s definitely worth a visit! Which of those views would I like to see? How about, “All of them.” 🙂 Simply stunning! Dubrovnik has definitely elbowed its way onto my short list. I also think it’s really cool when you only have a few hours to see a place and you can still make the most of that time and do something awesome like this. Was it as hot there as it was in Athens? I do suppose I would try to go sometime other than the middle of the summer . . . 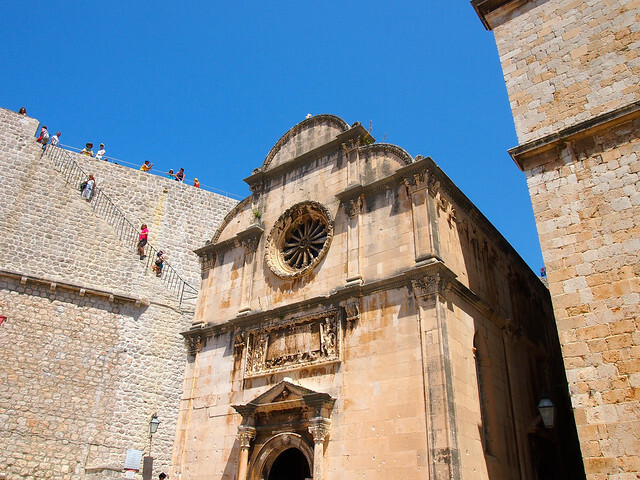 The great thing about Dubrovnik is that it’s pretty small – so yes, you can totally do something like this (and see a lot) in just a couple of hours. And it wasn’t *quite* as hot as Athens. But it was pretty close! Dubrovnik was actually amazing in the mornings and the evenings–after all the daily tour groups and cruise ships left for the night, it was such a lovely atmosphere and a beautiful city! It was way too crowded during the day, but it was so brilliant when everyone left! Plus, there was the coolest nightclub in the old city walls! Yeah, I’m sure I would have loved it even more without all the crowds! As it was though I still really enjoyed it! This brings back so many memories. You know, walking the city walls in Dubrovnik was the very first thing I did on DAY ONE of my trip?! Wow! Day one?! That’s crazy! What a way to start off your trip! 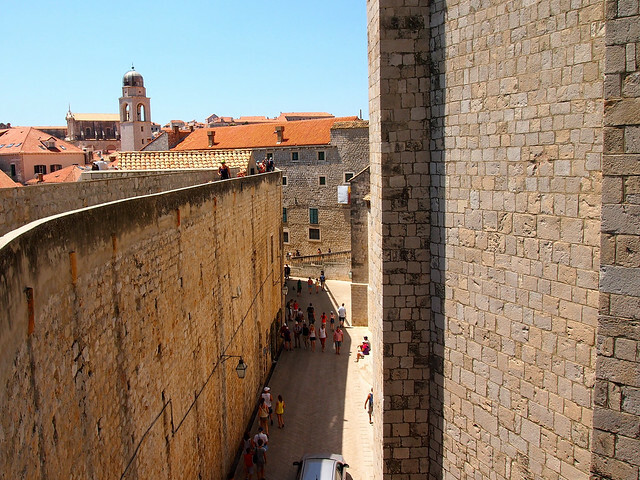 I loved walking the walls of Dubrovnik. Great pictures! Thanks, Emily! This was definitely one of the highlights of my short time in Croatia. Walking those Dubrovnik wall was one of my very favourite things to do in one of my very favourite cities in all of Europe too, I loved it! It’s really something you can’t miss if you’re in this part of Europe! Beautiful place! Great photos! I love red roofs, little bay with boats. Perfect place for me and inspiration! Beautiful! I have heard nothing but good things about Dubrovnik! Same here – it seems to be one of those cities that people always love! Shame to hear you didn’t much enjoy your sailing trip. 🙁 Glad to hear you liked Dubrovnik, though! Wow, best photos I’ve seen on any blog. Somehow I managed to wake up early that day and was one of the first few people to walk the walls that day. By the time I was done, the line had…hundreds of people in it, as far as I can recall. Try not to be hungover the morning you plan on walking the walls. It’ll be fun. I went in the afternoon, but it still wasn’t super crowded. Probably because it was so freaking hot! 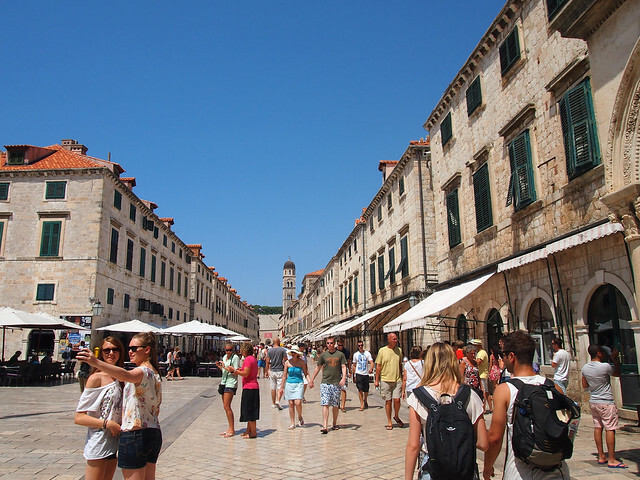 Love the photos, recalls good time that I had when I visited Dubrovnik. Glad to be able to bring back some good memories for you, Kadri! That water is soooo blue! 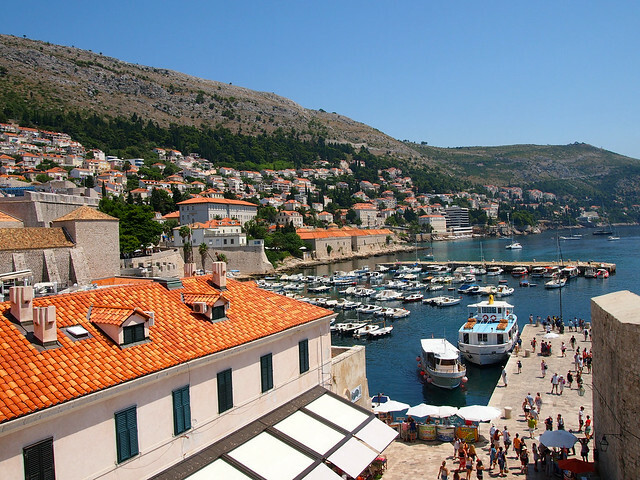 I can’t wait to visit Croatia…makes me want to pack my bags NOW!! :). Thanks for sharing. Yes, the water around Dubrovnik is just amazing! I really want to go back. Haha. 😉 I’m sure they’re fine! September or June is the perfect time to go to Croatia if you don’t want the peak season heat or tourist. However having been to Croatia 3 times incl summer I’m always surprised at people commenting about the heat. The country has hot periods but it’s nothing like the heat in Australia or the humidity of Asia. If you’ve been to these countries during the hot season you’ll find Croatia mild. True, but it still certainly feels hot at the time! Doesn’t really matter where else you’ve experienced heat – hot is still hot in my book! Is it suitable for those who don’t really like heights? I was fine with the cable car but the chance of falling looks high. Do people fall off?